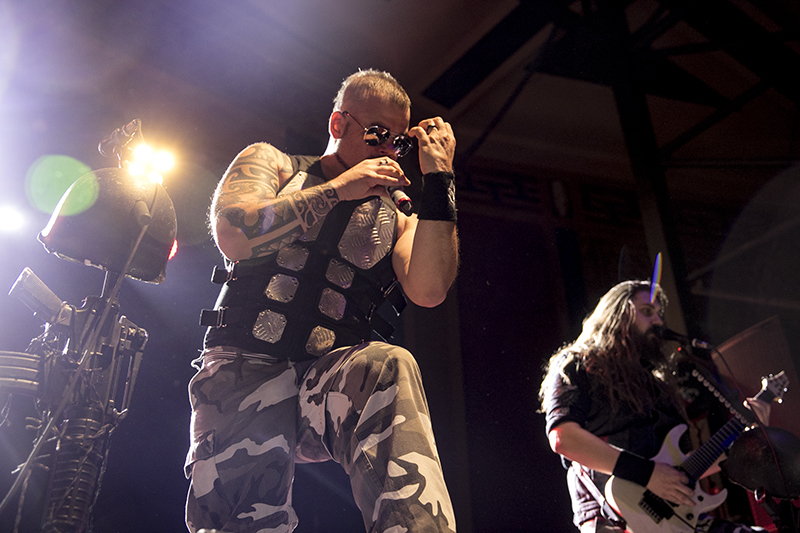 Metal fans were treated to the perfect combination of blinding fury and anthemic melodicism on a Saturday night as the legendary German thrash metal band Kreator and Swedish power metal stalwarts Sabaton came to Berkeley’s UC Theatre. 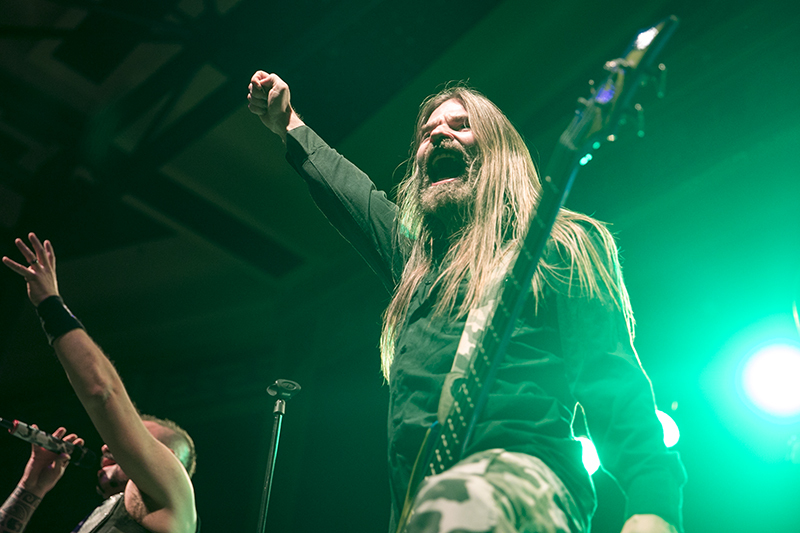 Both groups played full sets to a sold-out audience hungry for powerful metal. Sabaton headlined the evening, delivering a setlist culled from their entire career, with plenty of outrageous bombast to complement an impressive light show and a massive video screen backing the band. Charging out on the stage playing through the blistering stomp of “Ghost Division,” Sabaton ripped through a 17-song set that got a rabid reaction from the crowd. Sabaton songs are based around the strong vocals of Joakim Brodén, the driving bass of Pär Sundström, and the heavy guitar tag-team of Chris Rörland and Tommy Johansson, and virtually every song contains some incredibly catchy vocal and guitar harmonies, which means that these songs naturally lend themselves to live sing-alongs. This was even more evident a few songs later as Sabaton powered through the surging metal of “Cliffs of Gallipoli.” Backed by a limber set of drum beats from Hannes van Dahl, the song got the crowd moving: with plenty of fans taking to the mosh pit and singing along in joyous unison. 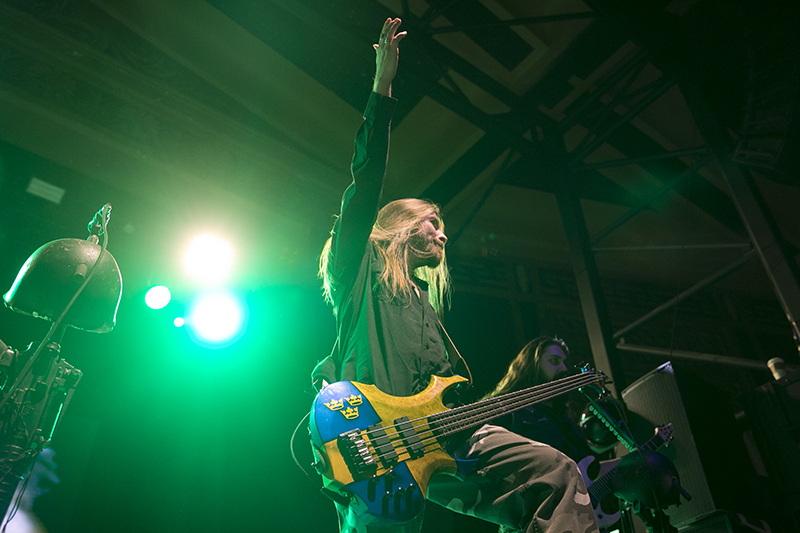 Prior to shredding through an inspired version of “Resist and Bite,” Brodén addressed the crowd for a few moments, mentioning his excitement on how well the tour had been going, before reminding the audience that the day (February 10th) was special as it was the birthday of late Metallica bassist Cliff Burton, which was recently recognized by the county of Alameda and the city of Castro Valley (Burton’s hometown) as “Cliff Burton Day.” To celebrate the occasion, Brodén played the opening guitar riffs to the Metallica classic “Master of Puppets” before leading the audience on an impassioned acapella sing-along of the song’s first verse. It was a fitting and touching tribute to a metal legend that also amped up the crowd’s energy for the remainder of the concert. The band closed out the back portion of their set with a crowd-requested Swedish version of the track “Gott mit uns” along with a couple of other rampaging songs before closing with the fiery “To Hell and Back.” Before the song, Brodén noticed a young fan in the audience and brought him up on stage to ask his name. The 9-year-old, Carlos, was then given a pair of drumsticks and an impromptu drum lesson from van Dahl before taking a seat on the drum riser to watch the song. It was a touching act that demonstrated that Sabaton have a supreme amount of reverence for their fans, and based on the scorching set they played on Saturday night, their fanbase will only continue to grow. 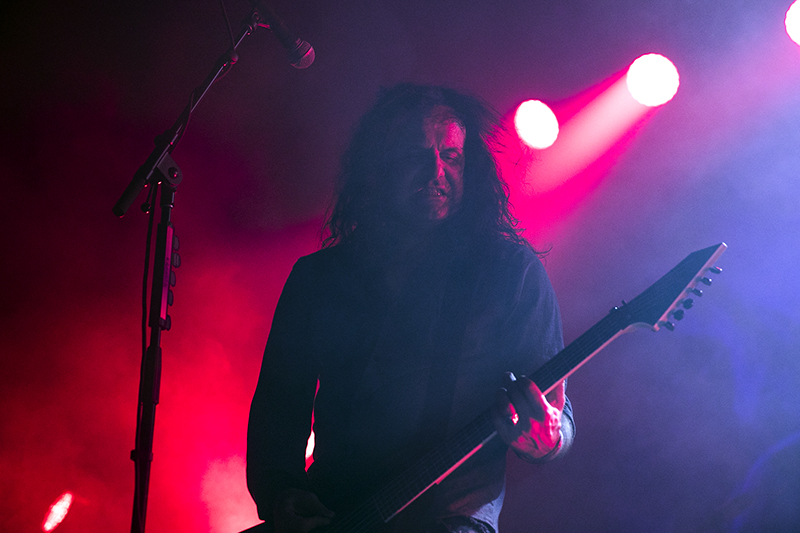 Kreator got things going with a pummeling set of thrash, culling their set from many of their classic albums as well as their newer releases. 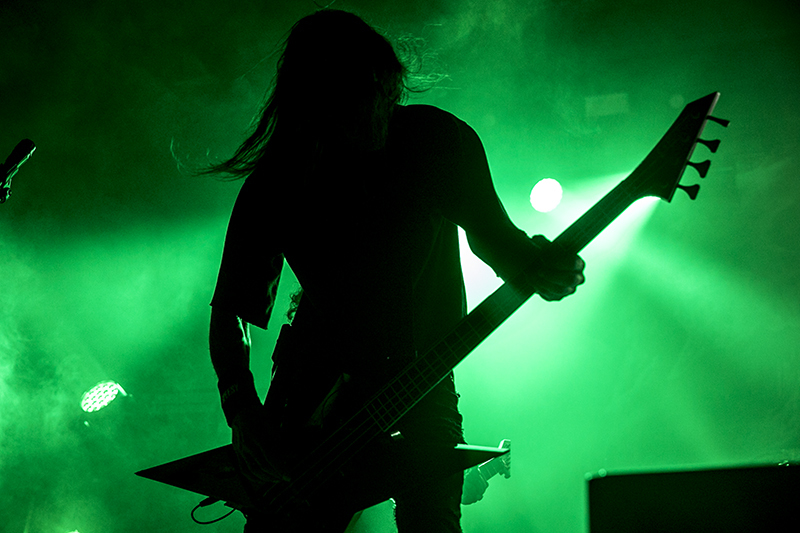 Backed with billowing smoke machines, LED lights, and strobe lights, the band played with a fury that few other metal bands could hope to match. 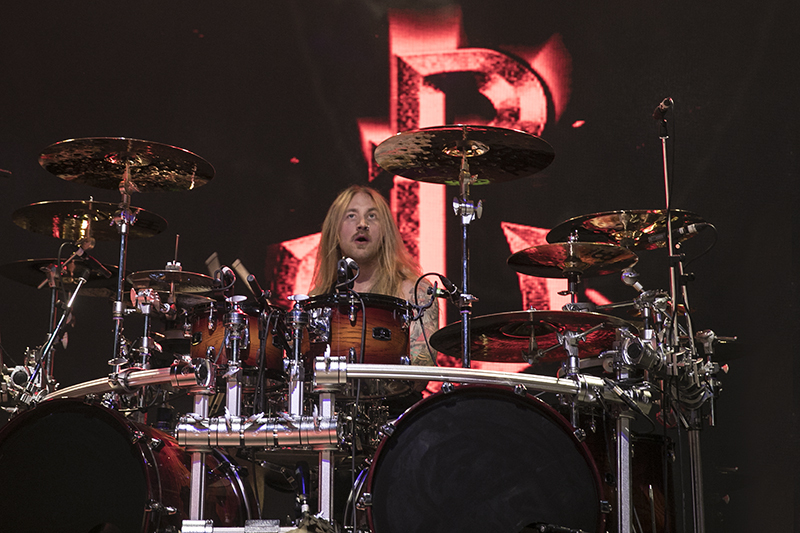 The group wasted no time in launching into the raging “Phantom Antichrist,” a song driven by the breakneck double bass drumming of Jürgen “Ventor” Reil and the tight bass playing of Christian Giesler. With the UC Theatre filled to the brim with metal fans, including the likes of Death Angel guitarist Rob Cavestany, Blind Illusion/DRI bassist/famous metal photographer Harald Oimoen, and Rancid bassist Matt Freeman, the crowd was clearly in an excitable mood, moshing and screaming along to every track. 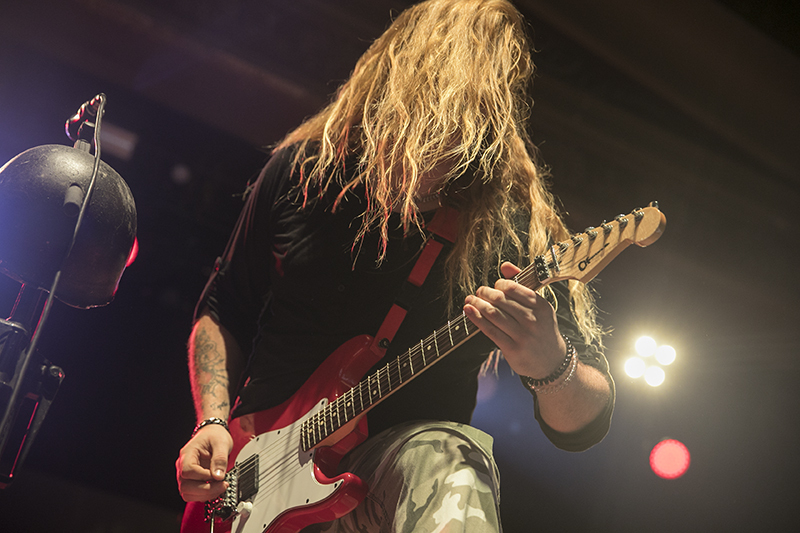 A few songs later the band slowed things down ever so slightly for the anthemic “Gods of Violence,” a track that mixed breakneck guitar riffs with sublime harmonies and technically proficient solos from lead guitarist Sami Yli-Sirniö. Finally, Kreator closed out their set with a crushing rendition of the legendary “Pleasure to Kill,” the title track of their 1986 album of the same name, generally regarded as one of the best thrash metal albums of all time. 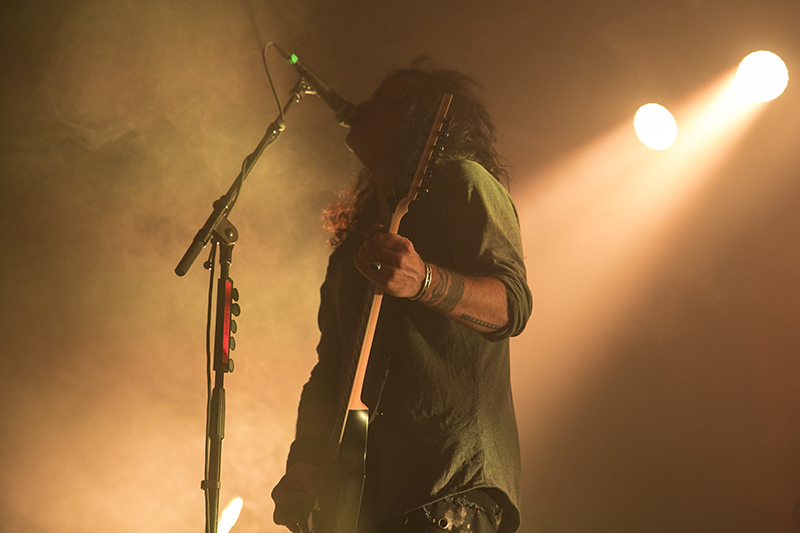 Anchored by a dexterous drum beat and plenty of hyperspeed tremolo picked guitar riffs, the piece caused the GA pit to erupt one last time as the mass of bodies began to mosh in tempo to the song. 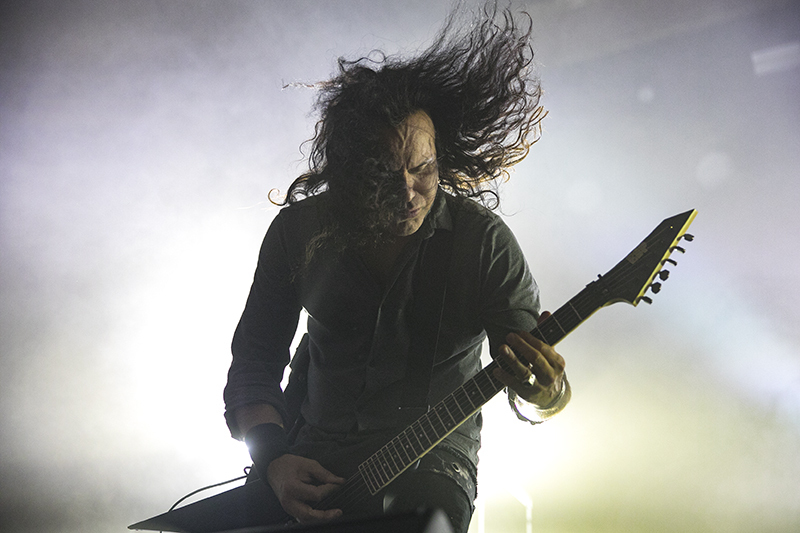 Now more than 35 years into their career, Kreator are playing some of the most impressive and inspired concerts in their long history, as was the case on Saturday night. 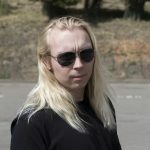 For more information on Sabaton, check out their website. Find out more about Kreator here.